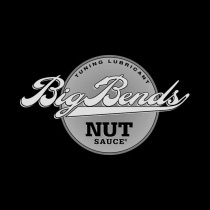 Big Bends LLC was founded in 2001 by Jeff Massey on a quest to keep his guitars in tune and end string breakage. Big Bends is still on a quest to bring the “Tech in a Tube” to every stringed instrument Artist, Builder and Repair Tech who has ever struggled with getting and staying in tune and breaking strings. In an “obsessive quest” to keep his guitars in tune, Jeff Massey (company founder) realized “friction” was the cause of virtually ALL tuning (pitch drift) problems. He found going out of tune while playing the guitar (or any stringed instrument) is almost always the direct consequence of “friction” acting upon the fulcrum/pivot points of the floating bridge and the string bearing surfaces of the bridge, nut and string guides. After 14 years plus of experiments and improvements in both lubricants and applicators, the Nut Sauce filled Groove Luber was created. All of our products are proudly made in the USA. Big Bends is located in Plainwell MI. about 15 miles from the old Gibson plant in Kalamazoo.